Over the last couple of weeks we’ve looked at some of the more advanced design issues in faceted search, including the strengths and weaknesses of various interaction models and techniques for wayfinding and navigation. In this post, we’ll complement that material with a look at some of the other fundamental design considerations such as layout (i.e. where to place the faceted navigation menus) and default state (e.g. open, closed, or a hybrid). In so doing, I’d like to acknowledge the work of James Kalbach, and in particular his tutorial on faceted search design, which provides an excellent framework for many of the key principles outlined below. One of the most basic issues in designing faceted search is deciding where to locate the faceted navigation menu. (Note that we use the term “faceted search” here to describe the overall user experience, whereas we reserve the term “faceted navigation menu” to denote the component that displays the currently available facets). Broadly speaking, there are three main choices: vertical, horizontal, and hybrid. Let’s examine each in turn. Much has been written about the merits of left vs. right hand placement for navigation menus, which we won’t repeat here. However, two caveats apply. Firstly, for faceted navigation (as opposed to static navigation), the relationship between progressive refinements and the content of the search results can be quite nuanced. It could be argued that the cause and effect nature of this relationship is more readily communicated (at least, for cultures where the reading direction is left to right) when the facets are placed on the left and the results on the right. Secondly, there is convention: users will arrive at any new site with their own mental models and expectations, one of which is that navigation menus are usually located on the left hand side. Of course, as designers, we can choose to ignore such expectations – but if we do so, we should at least act on the basis of a principled, evidence-based rationale. A similar conclusion, with slightly different reasoning (but perhaps stronger primary evidence), is documented by James Kalbach. 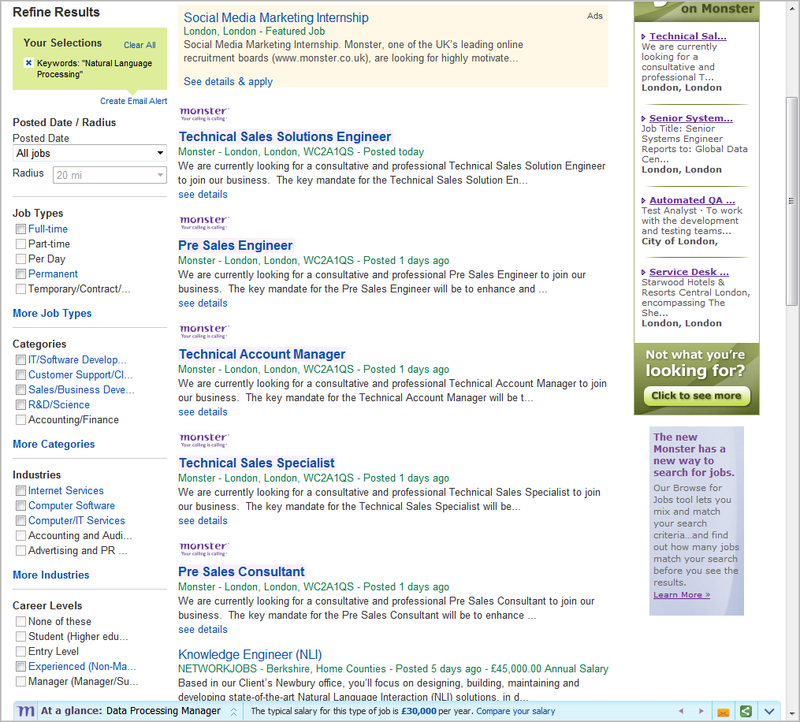 Moreover, the motivation for placing the facets on the right in the above example may have been to increase visibility and adoption of the “concept browser” control on the left – in which case, a suitable rationale was indeed applied – albeit one not necessarily motivated exclusively by user-centred concerns. An advantage with this configuration is that the facets now occupy a much more dominant position on the page, and present a more visible invitation for interaction. However, this configuration does not scale well beyond a small number of facets, as the maximum that can be simultaneously displayed is normally bounded by the width of the page (in this case, six facets are shown). In addition, the facet menu will disappear from view as soon as the user scrolls through the result set, compromising the visibility of the conceptual relationship between selections made and results returned. An advantage of this approach is that it eliminates the need for an arbitrary limit on the number of facets that can be simultaneously displayed. However, the effect on the overall query refinement experience can be quite disorienting due to the sheer number of facets displayed (with little sense of priority). A further discontinuity is created by continual changes in the location and identity of the facets as progressive refinements are applied. (Of course, this issue can apply equally to vertical configurations, but the extended horizontal configuration shown here makes the effect so much more immediately tangible on each refinement action). It’s worth mentioning that the Amphenol configuration is actually a variant of the Open Parametric design pattern, in which the facets are laid out in a horizontal sequence and displayed in their “open” state by default (see the discussion on default states below). This pattern is primarily aimed at users accustomed to a “parametric search” style of interaction, which is a convention widely adopted by manufacturers and distributors of “parameterized” products such as electronic components. A vertical stack is used for the majority of facets which in this case are displayed on the left hand side. However, they have chosen to display three particular facets in a horizontal configuration across the top of the page. These three may have been selected because they manipulate quantitative data and thus are well suited to a slider control (for a broader discussion on the choice of display media see below). Conversely, they may have been selected for being notable exemplars of the site’s USP and brand values (i.e. 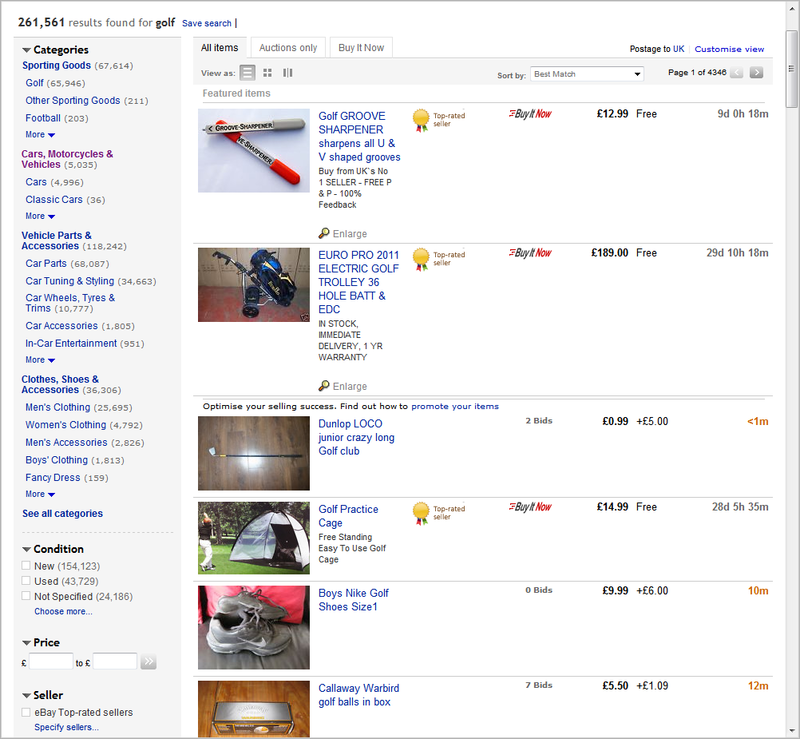 the freedom for users to initiate a search using whatever criteria they deem most important). 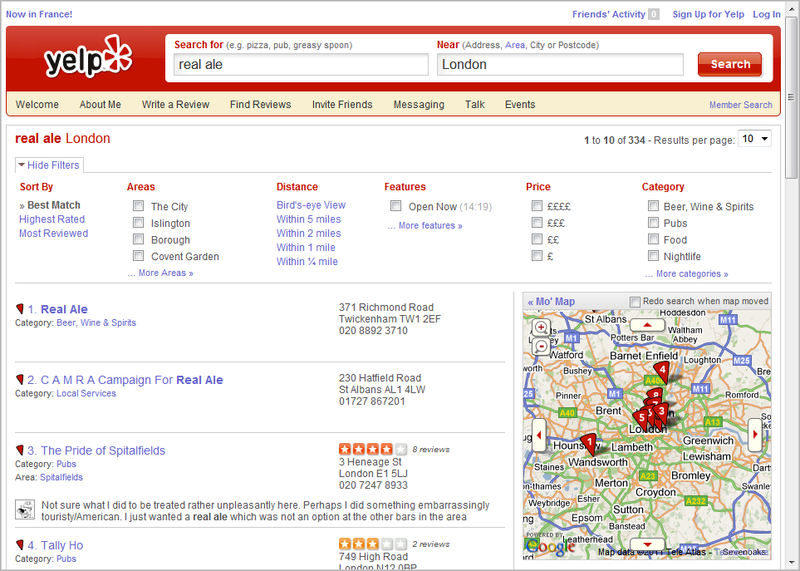 By contrast, the data fields used to initiate a search on most traditional travel sites (i.e. party size, date, etc.) are probably the least immediately visible of all the facets shown on this page. It is also interesting to observe that an earlier incarnation of TravelMatch adopted an even more radical treatment, arranging the facets in a radial layout around the page. It appears that feedback from user testing has encouraged a gradual migration toward a somewhat more conventional layout. Coupled with the issue of layout is the choice of default state for each of the facets. Again, we have three broad choices: closed by default, open by default, or a combination of the two. The first option is to display all facets as closed by default, which is the approach adopted by TravelMatch in the left hand menu above. The advantage is that screen space is minimised, and for a site with a large number of facets (such as this), the immediate visibility of that breadth of choice is maximised. (Note that it wouldn’t make sense to hide the three horizontal sliders in this case since little space would be saved and it would compromise the USP discussed above). The disadvantage is that the information scent offered by each facet is weaker than if they were shown in their open state (with sample facet values clearly visible). As a result, adoption and usage of the facets may be somewhat compromised. To help mitigate this, the invitation or control to open (and close) each of the facets should be clearly visible and unambiguous. This approach usually limits the number of facet values displayed by default to a handful, which are typically prioritised on the basis of frequency or some other measure of popularity. 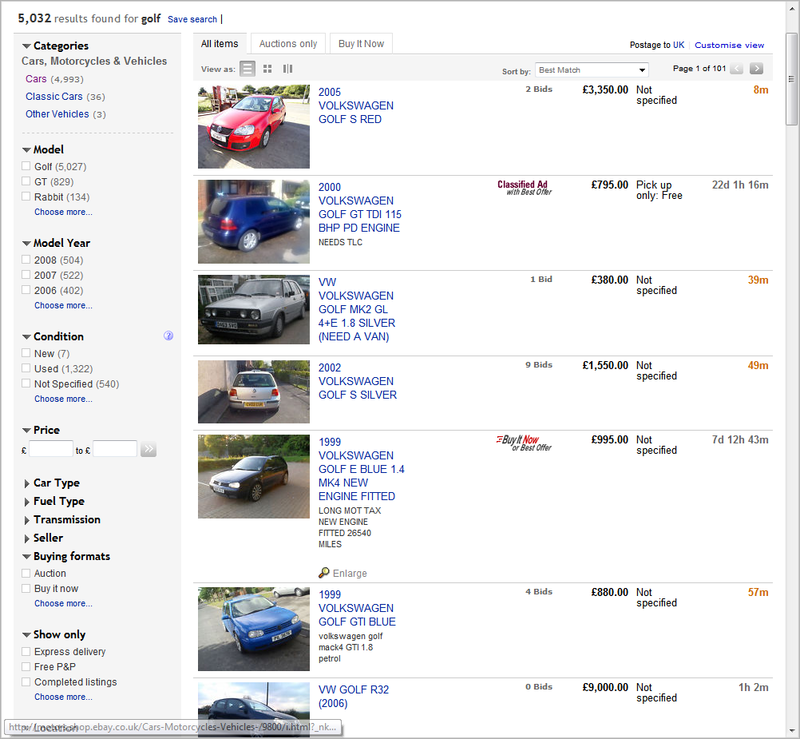 A suitable call to action is then required to invite the user to see further values (e.g. the use of “More <facet name>” in the Monster example). Note that it is not advisable to show facets open by default if one or more of them contain multi-select values and the interaction model is two-stage. Doing so can undermine the fundamental principle that the set of results and facet values should update immediately as soon as any selection is made and increase the likelihood that ‘illegal’ combinations of facet values can be selected, leading to zero results. In the example above, if we add the refinements Category=”R&D/Science” and Industry=”Internet Services”, zero results are returned. For a fuller discussion of this issue, see the recent post on Interaction Models for Faceted Search. This example also uses of smart dead ends to indicate facet values which don’t apply to the current result set but might otherwise, were some refinement to be removed. These are rendered in grey with disabled checkboxes in the example above. What this tells the user is that although Monster has jobs that are part-time/per day/temporary etc. in its database, none of these apply to the query “natural language processing”. Smart dead ends can provide a very effective means for helping users understand the range of possibilities open to them beyond their current query, and thus encourage further serendipitous exploration and discovery. 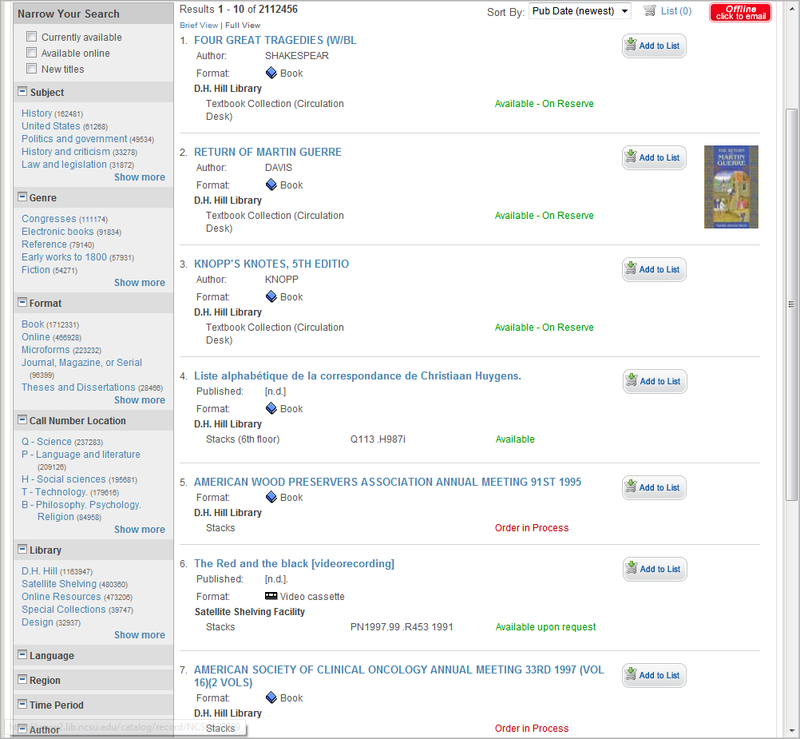 In this example, the primary facets (Subject, Genre, Format, Call Number Location and Library) are shown in their open state, and the secondary facets (Language, Region, Time Period and Author) are shown closed. 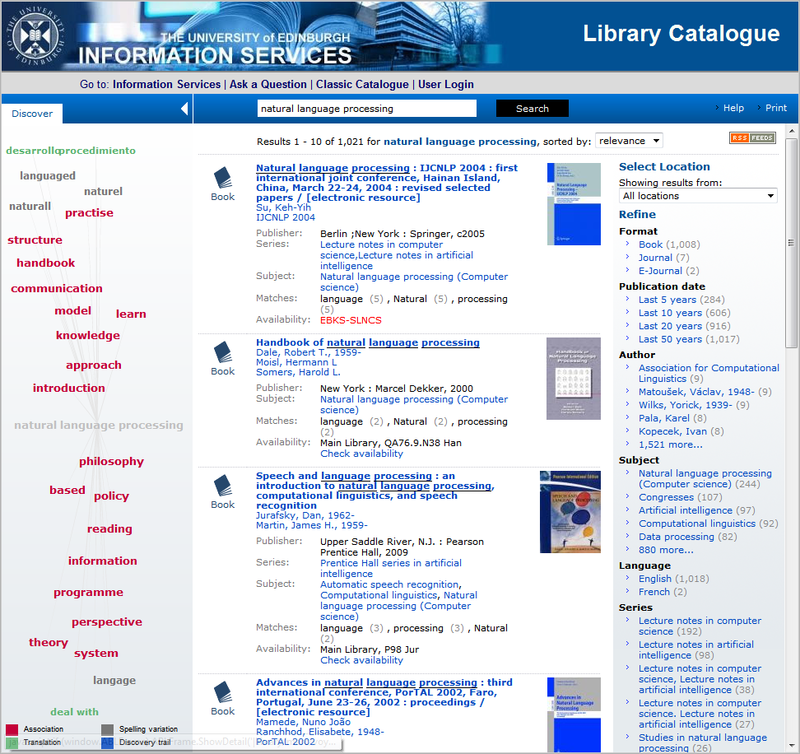 One assumes this choice reflects the dominant search strategies and mental models employed by the library’s users in searching the catalogue. Notice how all the facets are open by default. This is particularly significant, since the primary role for the query clarification facets (e.g. “Sporting Goods”, “Cars, Motorcycles & Vehicles” and “Clothes, Shoes & Accessories”) is to guide the user in making an appropriate selection to disambiguate their query. A string information scent (provided by the example values) is thus vital. But on this occasion the default state is a combination of open and closed. Like NCSU libraries, they have ordered the facets by priority to reflect the dominant search strategies and mental models employed by their users. In this case, that means showing the primary facets of Model, Model Year, Condition and Price in their open state, and the secondary facets (Car Type, Fuel Type, Transmission and Seller) in their closed state. A subtle but effective strategy for optimising screen space, information scent and query (disambiguation) effectiveness. Note of course, that the above examples are predicated on the use of an independent control (such as a breadbox) to communicate the current navigational state. If inline breadcrumbs are used instead, then facets must either be shown in their open state by default or use some sort of memento to indicate the presence of existing selections when closed by the user (like TravelMatch, which displays icons representing existing selections within closed facets). Over the last couple of weeks we’ve looked at some of the more advanced design issues in faceted search, including interaction models and techniques for wayfinding and navigation. In this post, we’ve complemented that material with a discussion of the essential design considerations of layout and default state. In a future post, we’ll look at the choices for displaying facet values (e.g. hyperlinks, checkboxes, etc.) along with some of the other key design fundamentals. 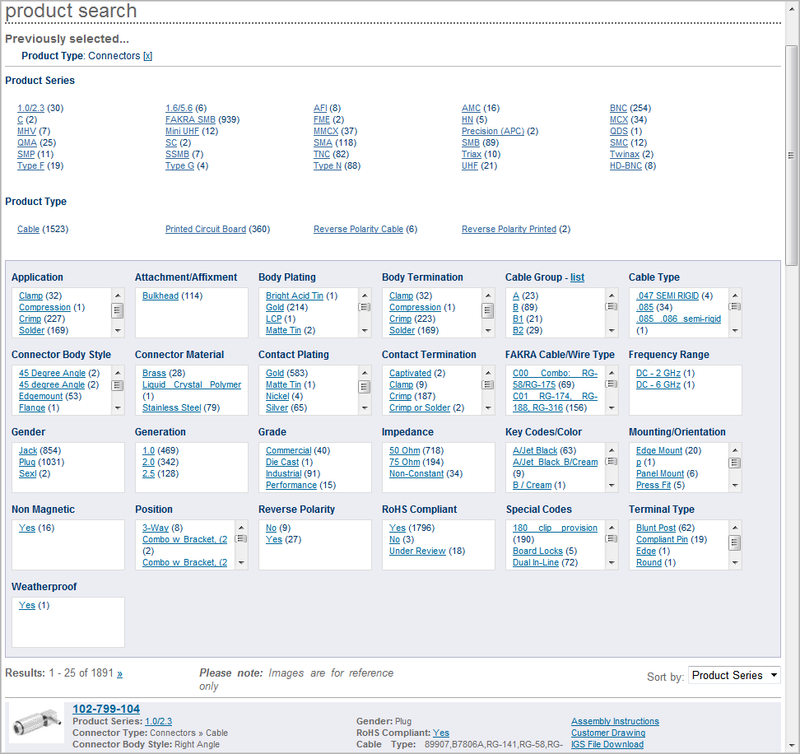 The layout of a search results page is one of the strongest areas in website improvements I’ve seen. Designers used to focus on the homepage and some top level designs and the results for any type of search (product or information) were an after thought. 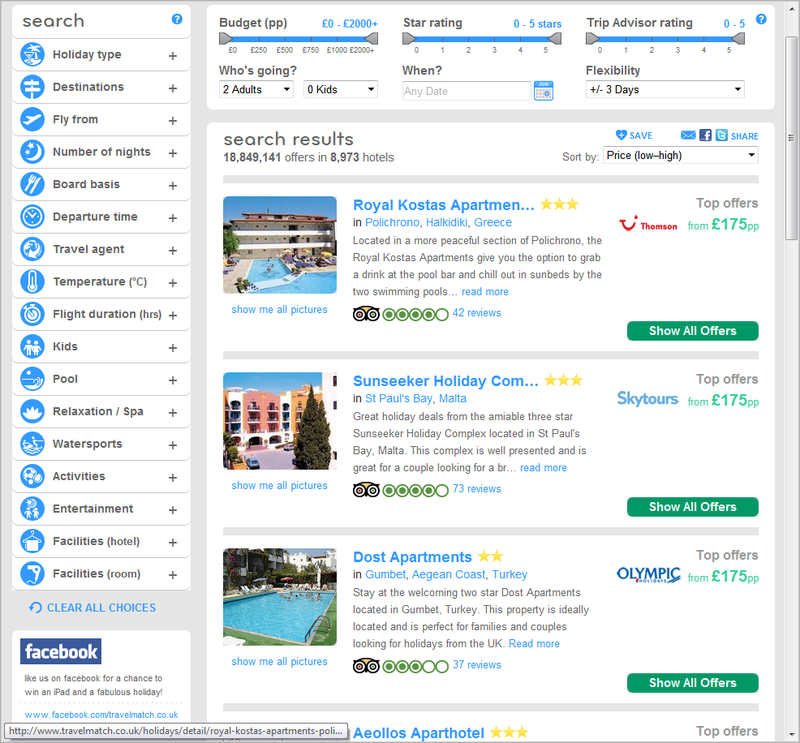 I do like the way that Travelmatch have developed their booking engine (faceted search is a new one on me as a title for this type of scalable search function) to make life simpler for consumers, in particular things like the luxury holidays result set was kinda cool (http://www.travelmatch.co.uk/holidays/5-star-holidays.html). Like the way that the cheapest holiday is first rather than the most expensive – which seems to be a default on most travel result sets. Significantly better than the flow you find in places like Haven holidays (haven.com) where the path is so linear and seems to be simply about upselling more than delivering a decent user experience. Adding to above. The other important aspect of Faceted navigation is sorting. Depending on the context a different sort of Facets within a group as well as sort order among different groups can be beneficial. That approach was put behind Faceted Search for SharePoint. For example, Last Name facet is expected to be alphabetical ascending. Date Updated facet often needs to be sorted in descending order. Ranking facet showing popularity of the results is better shown in descending order by number of hits. 1. Put the most important facets on top with highly-visible multi-disjunctive-select custom controls. 2. Put the rest on the side as single select. It’s a bit inconsistent, but it has the nice effect of keeping the clutter down. One of the downsides of multiple selection is clutter, and I’ve been working on a few ways to mitigate this. Getting the benefits of ‘smart’ dead-ends is difficult if you also want to mitigate the clutter . . .
Jaimie: Thanks for stopping by. I think the issue of hybrid configurations probably deserves a longer discussion … The inverted ‘L shape used by Travelmatch and shoes.com is probably the most common but even within that there are subtle variations, such as where to locate the breadbox (if you use one). It does have the advantage though that you have a very flexible canvas for placing the key facets in a dominant position to drive adoption. In my experience of user testing, the facets are often significantly under-used compared to search – particularly on eCommerce sites. As a user, I have found sites with the horizontal facet style extremely disorienting when the search results are pushed down the page, or even worse beyond the fold. When you do a search, you expect to see results, first and foremost.